Tales of the Tenth: The Mountain Troops and American Skiing, by Jeffrey R. Leich, 2nd Edition, 2008. 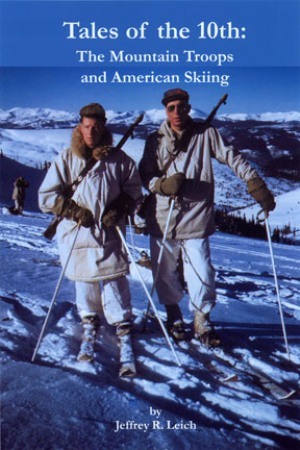 A lavishly illustrated history of the famed World War II-era 10th Mountain Division, the unique ski troops who trained in Colorado, earned a distinguished combat record in Italy, and spearheaded the postwar growth of skiing as a sport in America. 116 pp., 8 1/2" X 11".